Kentucky Premier 16U EYBL Milby defeated All Ohio Black 68-66 to win the Elite Division (28 teams of rising seniors or younger players) of the 2017 Midwest Showdown. Teams representing the West Virginia Thunder club captured the three lower age group divisions (discussed separately in parts 2-4). In its 16th year sponsored by the All Ohio Basketball Club, the Midwest Showdown had 159 teams which were broken into divisions based on graduation year. Running May 27-29, the event was held at multiple sites with main facility in Mason, Ohio (just north of Cincinnati). Even though NCAA Division 1 schools were not allowed to attend, approximately 40 schools from NCAA Division 2, Division 3 the NAIA and junior college ranks were present for one or more days according to event organizers. Also, several scouting services, both regional and national, were present at the event making this one of the most prestigious of the events held during the non-viewing period for NCAA Division 1 schools. Teams were placed into pools and based on results then assigned to various brackets. Winning the Platinum Bracket made a team the overall champion of any of the four divisions covered in our reports. One feature of this event is a five-game guarantee which gives all participating teams a healthy workout and lots of bang for their bucks over Memorial Day weekend! There has been a fair amount of history between these two teams in the last year with All Ohio beating the core of this Kentucky Premier team in last year’s Midwest Showdown 10th grade division final and in Nike EYBL play (63-61) in April in Hampton, Virginia. In this contest, it was important for Premier to control the tempo and get out and run. The first half went according to plan with Kentucky up 41-29 at half led by 12 points from Seygan Robins and good balance around her. Meanwhile All Ohio had little going besides all-tournament performers Nia Clark and Valencia Myers with also each with 12 points. The second half saw the host team chip away at the lead as Kentucky Premier became sloppy with the ball while All Ohio became more dominant both inside and from the perimeter, briefly taking the 58-57 with 4:45 left in the game. The score was last tied at 62 with 2:04 left. Down the stretch, Robins hit a big three to seize the lead and Premier nursed it to the end. 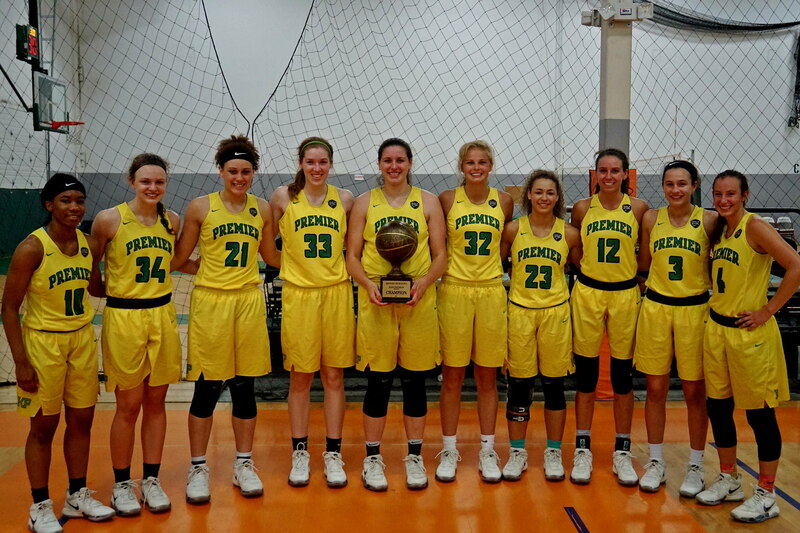 An All Ohio stick-back to tie at the buzzer was ruled late giving Kentucky Premier the Elite Division title for the third time in the last six years. Robins led Premier with 19 points followed by Blair Green (6-1, forward, 2018) with 12 and Molly Lockhart with 11 points. Nia Clark led all scorers with 23 points while Valencia Myers chipped in 18 points for All Ohio. For pulling Kentucky Premier through with timely shooting (both in the final and in the event overall), Robins was honored as both the finals MVP and overall division MVP. Players below are listed alphabetically with listed height, position, graduation year and club team with home town in parenthesis. The criteria for selection was performance at the event in conjunction with success of the team. Congratulations to all selected! Special thanks to Harry Elifson, Tim Lownsdale, Matt Shewmake and Sean Williams who served with me on the All-Tournament Selections Committee.